Reach back into Edwardian Promenade’s archives for a series of posts on fascinating Edwardian women! 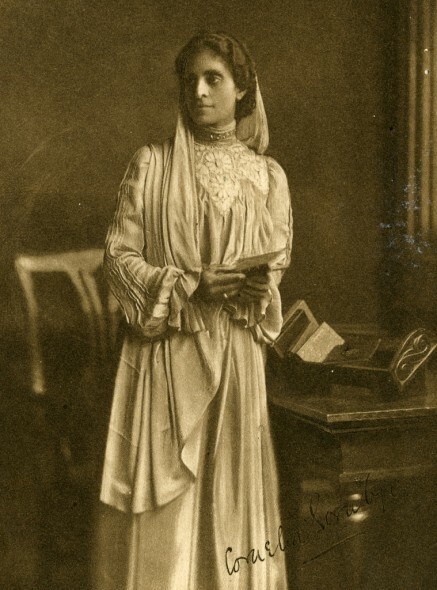 Though Indian (Parsi) and a woman, Cornelia Sorabji accomplished the unimaginable in becoming the first woman to practice law in India and Britain. Sorabji was born into a large family of nine children, her father, Reverend Sorabji Karsedji, a Parsi Christian, and her mother, Francina Ford, an Indian who had been adopted and raised by a British couple. Sorabji’s mother was devoted to the cause of women’s education, and made her mark upon Indian society with the establishment of several girls’ schools in Puna (then known as Poona). It was through her mother’s contacts that opened the door for Sorabji to become the first woman to take the Bachelor of Civil Laws exam at Oxford University in 1892. 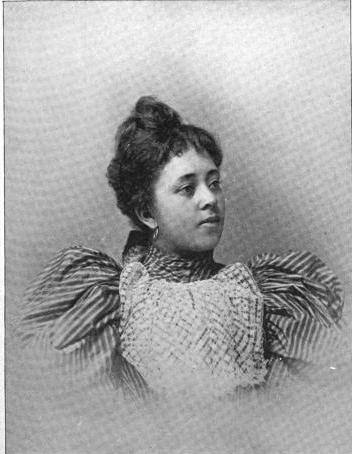 Though Lutie A. Lytle (1871/5-1950) was not the first black woman lawyer in America (the second, in fact), she was the first black woman to practice law in the South, when in 1897, she passed the bar in Tennessee. She then moved to Topeka, Kansas, where she then became the first black woman lawyer in that state. Her path to becoming a lawyer was extraordinary and interesting in and of itself. The child of “Exodusters” (a term applied to black Americans who migrated to Kansas after the end of Reconstruction), Lutie’s interest in politics and the law were fostered by her father John R. Lytle’s involvement in the Populist Party. Though her father’s campaign to become Topeka’s city jailer failed, Lutie entered into Populist politics and was appointed an assistant enrolling clerk for the Kansas legislature. 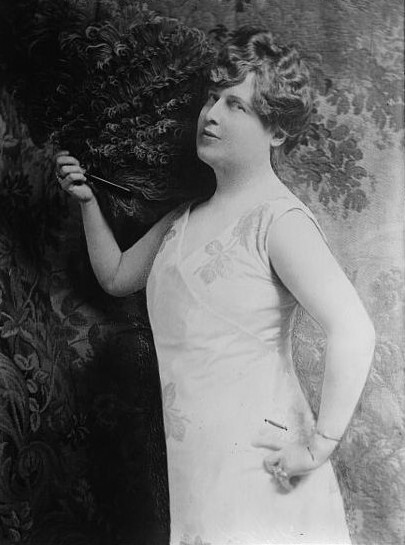 America is the land of dreams and opportunity, and Florence Foster Jenkins was wealthy enough to take advantage of this. Born to wealthy Pennsylvanians, Florence expressed an interest in music at an early age. She took piano lessons during her childhood and adolescence, but when at adulthood, she hoped to study abroad, her father refused to foot the bill. In retaliation, the headstrong Florence eloped with a physician named Frank Thornton Jenkins, no doubt hoping this would give her some measure on independence. 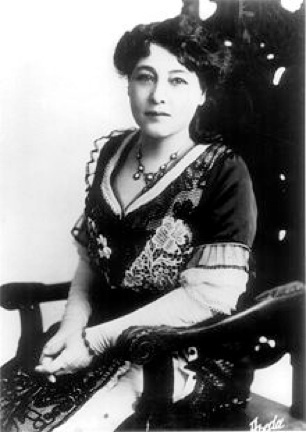 Unfortunately, Florence’s hasty marriage ended in a bitter divorce, but when her father died in 1909, she inherited his entire fortune. At forty-one, Florence had the independence and the means to fulfill her dreams of becoming a professional opera singer. 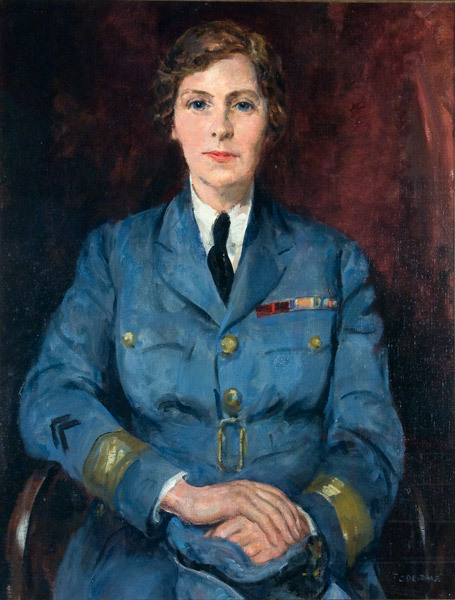 Helen Gwynne-Vaughan represented the flower of the New Woman–gently-bred, but very well educated–and further established herself as one of the many heroines of WWI. Before the war, Gwynne-Vaughan made her mark as a botanist and mycologist, earning her Doctor of Science in 1907 at the age of twenty-eight. She was soon given her own research school of fungal cytology at Birkbeck College in London, and in 1909, she was named head of the botany department. In 1894 she accepted a position as secretary with Léon Gaumont at a still-photography company. This business soon went under, but Gaumont, bought the inventory and established one of France’s first motion-picture companies. Alice followed Gaumont to his newly-formed L. Gaumont et Cie and rather than remain a mere secretary, she became his head of production, directing, producing, writing and/or overseeing the company’s films and reelers between the years 1896 and 1906.